DRUM AN BASS LINE @ The Empire Bar, London. 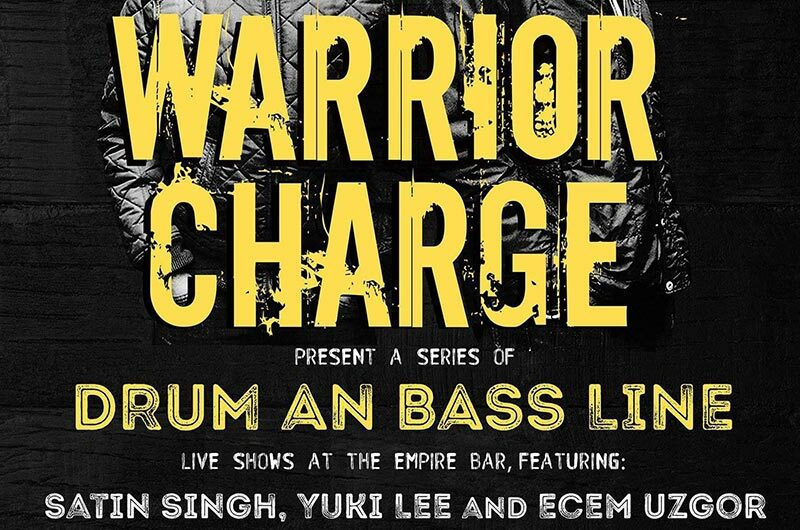 Warrior Charge present a series of Drum An Bass Line Live Shows. Ah Sh!t, find info on forthcoming hip hop nights and hip hop gigs in London. Ah Sh!t is intended as an information source only, we do not promote these hip hop gigs and hip hop nights (unless you see that Ah Sh!t logo on the flyer). Ah Sh!t does not provide any warranty or guarantee concerning the information regarding the hip hop gigs and hip hop nights in London listed on our website and cannot accept any liability associated with its use. The user should check with the venue or event organisers before booking tickets, attending or making plans to attend. © Copyright Ah Sh!t 2009-2019. Hip Hop Gigs In London and Hip Hop Nights in London.